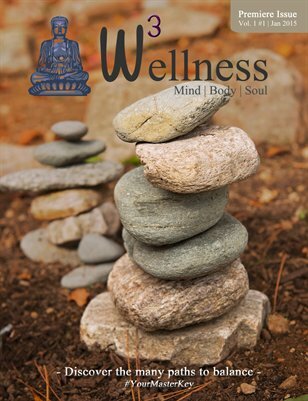 The Premiere Issue of Wellness: Mind Body Soul magazine introduces readers to a variety of exclusive featured columns including "Amy's Five Ingredient Recipe Roundup", "Chronicles of the Ascended Masters", "Crystal Clarity", "The Energy Medicine Journals" and "Wisdom from Wildlife" to name a few. Plus! Featured articles, Wellness Spotlight (Editors' Picks), Directories, Reiki-Prayer Circle and more. Note: Portions of this publication are regional (Directories and Allocated Ad Space); currently serving the Southcoast market only.